Wings of Freedom Tour featuring three WWII planes, 9 a.m.-12 p.m., Allen County Airport, 700 Airport Drive, Lima. Cost: $15 for adults; $5 for children under 12. 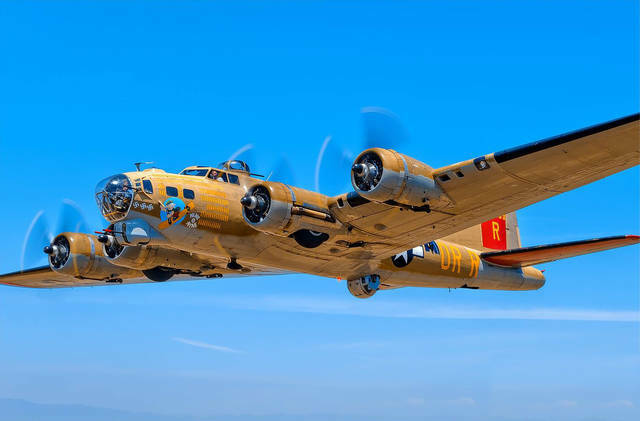 LIMA — The Wings of Freedom Tour, featuring the B-18 Flying Fortress “Nine O Nine,” B-24 Liberator “Witchcraft,” B-25 Mitchell “Tondelayo” bombers and P-51 Mustang “Toulouse Nuts” fighter, will be on display from 9 a.m. to 12 p.m. Friday, Aug. 10, at the Allen County Airport, 700 Airport Drive, Lima. Cost is $15 for adults and $5 for children under 12. For those visitors that would like to experience the once-in-a-lifetime opportunity to take a 30-minute flight, the cost is $450 for the B-17 or B-24. B-25 flights are $400 per person. For a training session in the P-51, the cost is $2,200 for half an hour or $3,200 for a full hour. For reservations and information on flight experiences call 800-568-8924. The Wings of Freedom Tour travels the nation as a tribute tot he flight crews who flew them, the ground crews who maintained them, the workers who built them, the soldiers, sailors and airmen they helped protect; and the citizens and families that share the freedom they helped preserve.